Welcome to a new year at Blades Elementary School! I am so looking forward to seeing our returning students and meeting our new students. I hope everyone had a wonderful summer and is ready for a fantastic school year! Each student will bring home an Emergency Form for parents to complete and sign. A parent signature is required to two places on this form. Please complete this form and return it to school with your child as soon as possible. If your child has a health condition that is new or their health information needs to be updated, please contact me, Colleen DeMott, RN, by phone or in person. 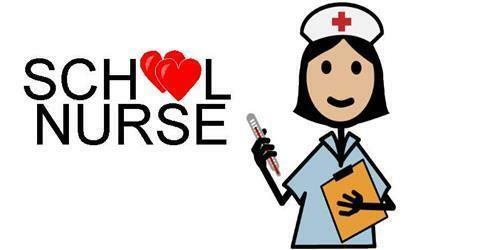 It is essential for your child's health and safety that the school nurse be made aware of health conditions or changes in your child's care. You can reach me at 302 629 4587 X 7575. If your child is to receive prescribed medications during the school day, please stop by the nurse's office so the appropriate permission forms can be signed and your child's medication schedule can be reviewed. A reminder that all prescribed medications must be in the pharmacy labeled container in order for the nurse to be able to administer the medication at school. Many new students may receive a letter from the school nurse requesting health information. The State of Delaware requires that each newly enrolled student have a physical done within the past 2 years, documentation of a blood lead test (Kindergarten only), a TB (tuberculosis) risk assessment done within the past 12 months, and a complete series of immunizations in order to attend school. If you receive a letter from the school nurse requesting health information, please contact your child's doctor and make arrangements to pick up the information or schedule an appointment for your child. The State requires that these health requirements be turned in or an appointment scheduled with your health care provider within two weeks of starting school. If you have any questions regarding the health requirements please call me at 629-4587 ext. 7500. I am excited to see everyone soon!